Villa Toderini is an 18th century Venetian villa that today houses in an elegant adjacent structure a farmhouse located near Conegliano and the Prosecco wine-making region. This itinerary stretches for 120 km, on a route that allows visitors to get to know and appreciate the landscape, environment and cultural heritage between Conegliano and Valdobbiadene. At our bed and breakfast near Treviso, you'll have the opportunity to stay in an attractive setting with services and amenities on a par with a small 4 star hotel. 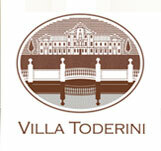 Villa Toderini offers its guests an exclusive stay in comfortable spaces and a warm ambiance, providing the wonderful experience of a vacation in the Marca Trevigiana area, discovering its eno-gastronomic flavors and traditions. The rooms of Villa Toderini have handmade furnishings and a picturesque view of a garden with its secular plants belonging to the historical residence that hosted the poet Ugo Foscolo and other famous guests.